The Movistar Yamaha MotoGP Team lands in Spain for an exceptionally extraordinary fourteenth round of the 2017 MotoGP World Championship. Not exclusively is the Gran Premio Movistar de Aragón the last European round before the abroad races and Maverick Viñales' home Grand Prix, but at the same time it's a home race for the group's title support, Movistar, and the scene for either Valentino Rossi's arrival from damage, or Yamaha WorldSBK rider Michael van der Mark's MotoGP make a big appearance as a substitution rider. At the past race in Misano, Viñales flew the Movistar Yamaha MotoGP signal alone. His fourth place at an exceptionally wet San Marino race was marked as great advance by the Spaniard, as it was his first time attempting the 2018 undercarriage in these conditions. He as of now holds third place in the title standings, 16 focuses behind the joint pioneers and - as the 2017 season has four more adjusts after this end of the week and there are as yet 125 focuses up for gets - the number 25-rider has all to play for. This end of the week he will concentrate on getting his Yamaha set up for the height changes and different streaming corners at the Alcañiz track as quickly as time permits on the Friday, so he can influence another progression to forward in his title challenge in Sunday's race. The youthful weapon has remained on the platform in Aragón three times previously, on account of a third place in 2011 in the 125cc class, a Moto3 second place complete in 2013 and a Moto2 triumph in 2014. A year ago he simply passed up a great opportunity for the chief class platform, securing a best MotoGP situation in Alcañiz of fourth position. This year he fancies his odds to secure a place in the best 3. 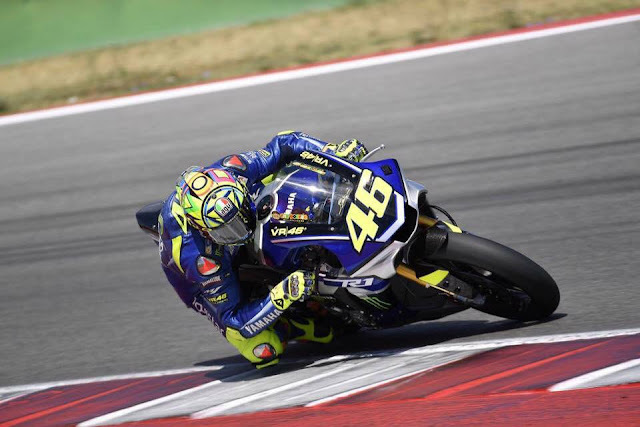 Following 17 days of recouping, Rossi got his initially laps in at the Misano World Circuit Marco Simoncelli last Monday and Tuesday, before experiencing a medicinal examination today. Following the registration, the Italian chose to advance toward Aragón with a specific end goal to attempt to partake in this present end of the week's race. He should effectively entire an obligatory physical check by the MotorLand Aragón Chief Medical Officer to be announced fit to participate in the Grand Prix end of the week. Regardless of missing the past race because of damage, Rossi lands at the fourteenth round holding fourth place in the title, 42 focuses from the highest point of the standings. While his leg hasn't completely mended yet, the nine-time World Champion is glad he may have the chance to endeavor riding his YZR-M1 again and welcome the Spanish fans in Alcañiz, where he remained on the platform three times previously (three third places in 2013, 2015 and 2016). Yamaha WorldSBK rider Van der Mark will in any case go to the Gran Premio Movistar de Aragón as a substitution rider, on the off chance that Rossi is proclaimed unfit or on the off chance that he believes he can't contend in Sunday's race after any of the Free Practice sessions. Should he venture on board the YZR-M1 this end of the week, he will do as such with no earlier testing. In any case, he is anticipating the test and to taking in however much data as could be expected, should Rossi not have the capacity to ride. The MotorLand Aragón is arranged close to the town of Alcañiz in Northern Spain and is just a couple of hours' drive from Barcelona. The circuit was added to the MotoGP date-book in 2010 and was given the IRTA Best Grand Prix of the Year grant that same year, mirroring the riders' and the fans' valuation for the setting. The quick and testing 5.1km long track has ten remaining and seven right corners and a 968m longest straight. It draws a great many fans, particularly as it's the last European race before the triple header abroad, making it a round motorsport devotees would prefer not to miss. Massimo Meregalli (Team Director) : "First of all, the team is looking forward to welcoming back Valentino and his crew in the pit box! The Aragón GP is very special for the team as we share the title sponsor with this round of the MotoGP championship, and we are very happy that we might get to start the event with a 'complete' team and rider line-up. It remains to be seen if Valentino feels he can complete the entire race weekend, which is very demanding, especially at a circuit like MotorLand Aragón, with big elevation changes. Should Vale feel that his injury is causing him too much discomfort, then Michael van der Mark will step in as the replacement rider. If that is the case, the team will put in maximal effort to help him adapt to the YZR-M1 as quick as possible. He didn't get the opportunity to test the bike before, so it would be a very exciting but also interesting weekend for him. As for the other side of the box, we are fully engrossed with the fight for the championship. Maverick is 16 points behind the joint leaders, with five races to go, so we are as determined as ever to get a top result and decrease the margin to the top in the standings. He really likes this circuit and, as it's also his home race, he will be pushing hard this weekend to confirm his status as a key protagonist." Maverick Viñales (Movistar Yamaha MotoGP Rider): "I'm very happy to head to Aragón because for us it's like a second home Grand Prix and we know that we can do a good performance there with the M1. It's one of my favourite tracks because of its lay-out, in Aragón we can be very fast. We are 16 points behind and we need to close that gap as soon as possible. For that reason, it's very important to push and believe that we can do it. In Misano we made a big step and I'm sure that we will do another important step this weekend. It's very important to stay focused." Valentino Rossi (Movistar Yamaha MotoGP Rider) : "Fortunately, yesterday I had a good test with my YZF-R1M in Misano. I tried also the day before, but the rain stopped me after a few laps. Yesterday I managed to complete 20 laps and find the answers I was looking for. Eventually, the test was positive and I want to say thanks to Dr. Lucidi and his staff, who helped me find the best solutions to feel the least amount of pain possible in my leg when I’m riding. Obviously at the end of the test I was in a little bit of pain, but this morning I went to Dr. Pascarella for a medical check, and it came out with a positive result. At the end I decided I will leave for Aragón and will try to ride my M1 this weekend. If I will be declared fit to ride, I'll have the real answer after FP1, because riding the M1 will be a much bigger challenge. We'll see. See you in Aragon!" Michael van der Mark (Yamaha Factory Racing Rider): "Though it remains uncertain if I will get to ride the YZR-M1 this weekend, I’m still looking forward to it. 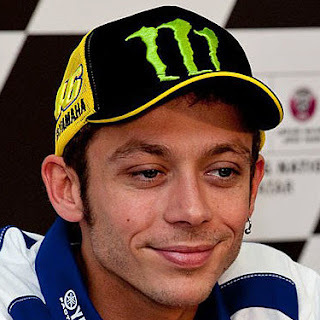 While I would like to get to step aboard the YZR-M1, I'm also fully supporting Valentino making his return. I'll either get to make my MotoGP debut or, should I not be able to ride, I will get to see Valentino live in action as he makes his comeback. As I said earlier, I’ve not been able to ride a MotoGP bike before the Grand Prix kicks off so, if Valentino ends up withdrawing from the Aragón GP, I will have to jump in at the deep end at the start of the next session and just try my best. However, after securing my first WorldSBK podium of the 2017 season in Portimão, I’m having a good momentum to step up to the challenge. I want to thank Yamaha again for giving me this opportunity. I’m sure it will be a good experience either way."